Samsung Galaxy S IV Duos, the new hot news from the leading smart phone manufacturer which comes with an 8 core processor and PowerVR SGX 544MP3 graphic acceleration. The body of the device specially designed a dotted, cross-hatch texture which compared to Galaxy S3 brushed metal-effect. The smart phone specially designed for our fingers instead of the S Pen with the technical help of Smart Scroll, Smart Pause and Air View features. 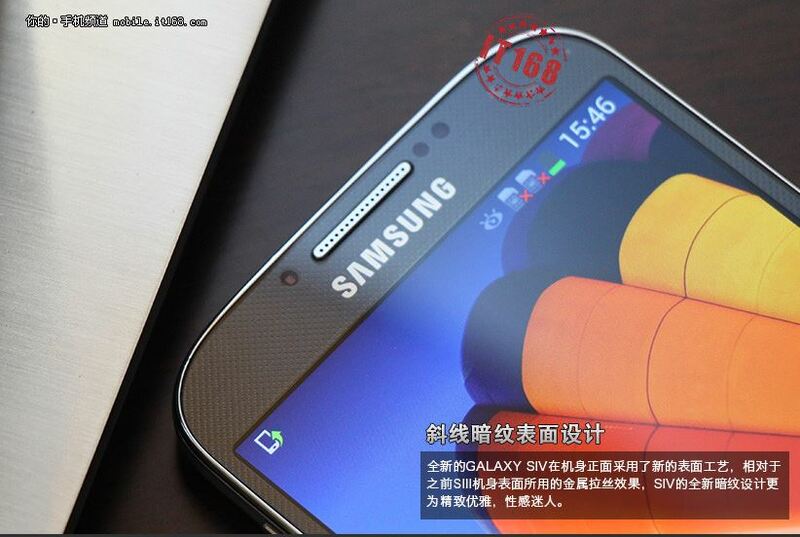 According to the first look of handset images, the Galaxy S IV looks similar to the Galaxy Note 2 Phablet. The stunning features telling us that undoubtedly the smart phone will be achieve a remarkable position in our smart phone industry. The Samsung Galaxy S IV Duos enables the dual SIM/dual standby (WCDMA+GSM) networks with advanced smart phone connectivity. The handset has a brilliant 4.99 inches AMOLED/PHOLED touch display with 1080 x 1920 pixels AVCHD resolution. Samsung Galaxy S IV Duos is powered by a 1.8GHz Exynos 5410 Octa-core processor with PowerVR SGX 544MP3 GPU. The smart phone runs Google’s latest Android 4.2 Jelly Bean platform. 2GB RAM and 16GB internal memory are the memory attractions. There is also a memory slot on the device which suitable for micro SD cards up to 64GB. The device sports two digital cameras which are 13 mega pixels and 2 mega pixels. The 13MP rear shooter will capture high resolution images even in low light. LED flash and auto focus are the extra features. You can take front & rear shots at same time. Samsung Galaxy S IV Duos carries a 2,600 mAh Li-Ion Replaceable battery. No more information about the battery. The official spokesmen said that it feel premium, sleek & solid in hand. The side is made of “metallic feel” plastic. So you can barely notice it is made of plastic. It has brushed metal-effect. Samsung Galaxy S4 is the latest launched smartphone by Samsung mobiles. This smartphone has the biggest display screen then other smartphones. It works on Android v4.2.2 Jelly Bean Operating System and powered by Quad-core 1.9 GHz processor. It has an awesome feature of operating mobile without touch and stop video with the eye movement, without moving hands. This smartphone is probably the best in the S4 family line. The active is not that active underwater, trust me and with its warranty not covering damage from liquid. We wouldn't want a Zoom right? Might as well get a professional camera. The duos is the real flagship phone in the S4 line. Wireless data capabilities, superb telephony and hardware that could battle the best of them.